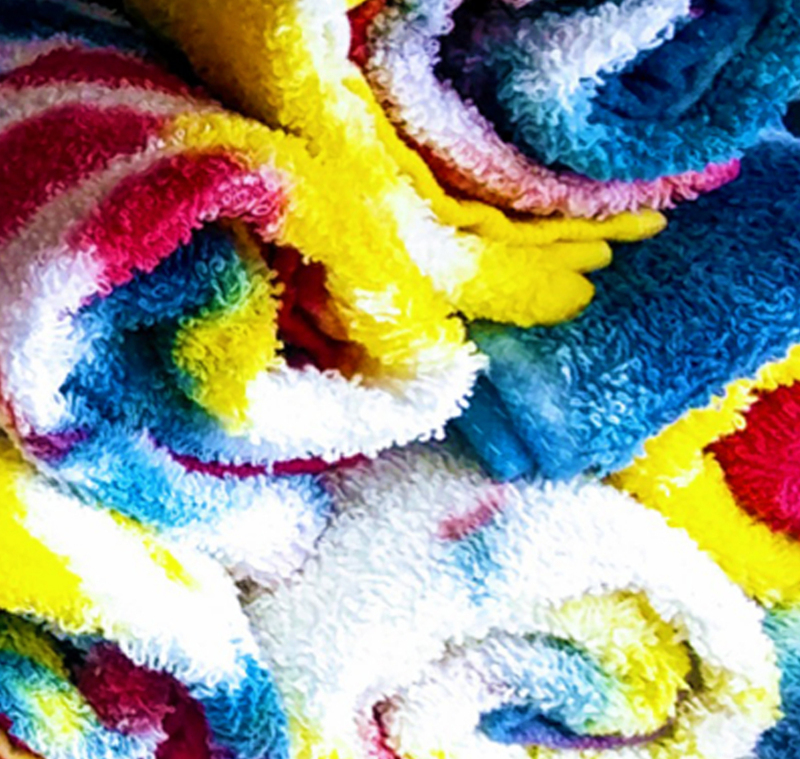 As a Hair Salon owner for many years, I continued to be frustrated with having to purchase new towels due to ugly color stains. One day I had a thought - what if they were tie dyed to begin with? 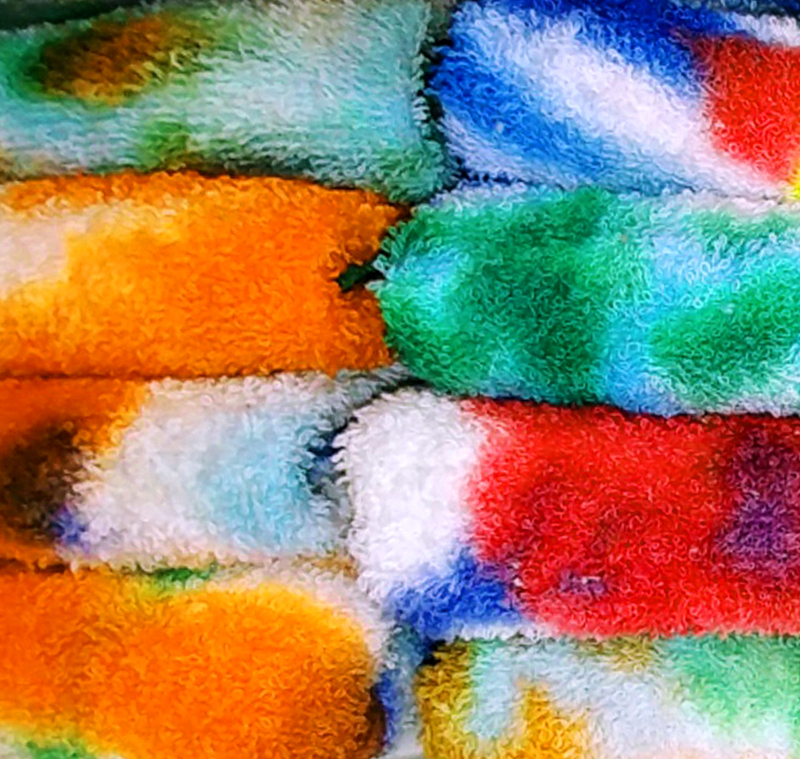 As I went along with my idea, I began to tie dye my salon towels. My theory was proven to be right! 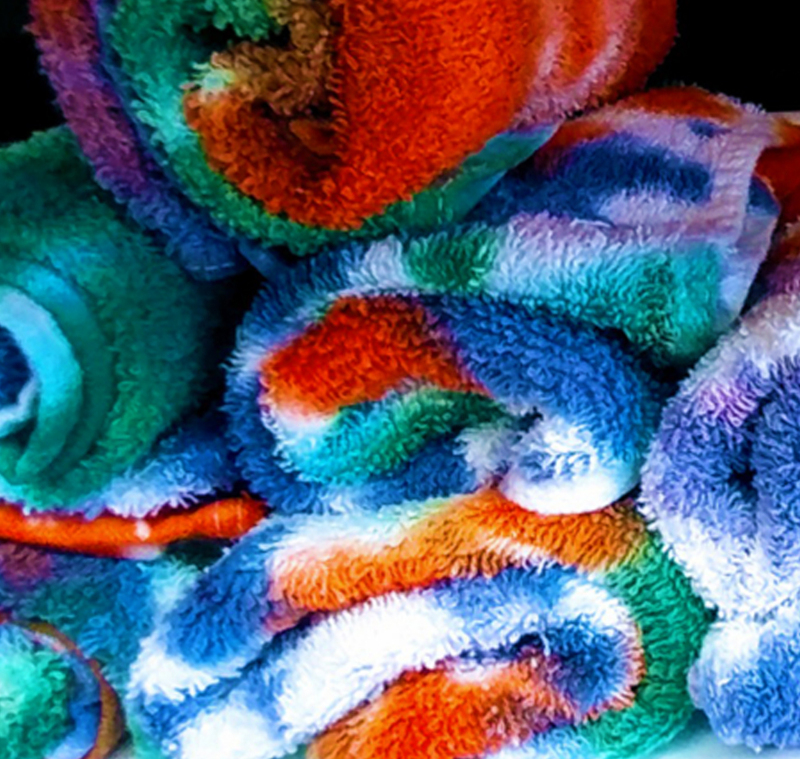 Towels that were tie dyed to begin with would diffuse the color stains! After 6 months, the towels still looked presentable, saving me money on new towel purchases. But the best part was the fun of having something unique that also was artistic that solved my problem! 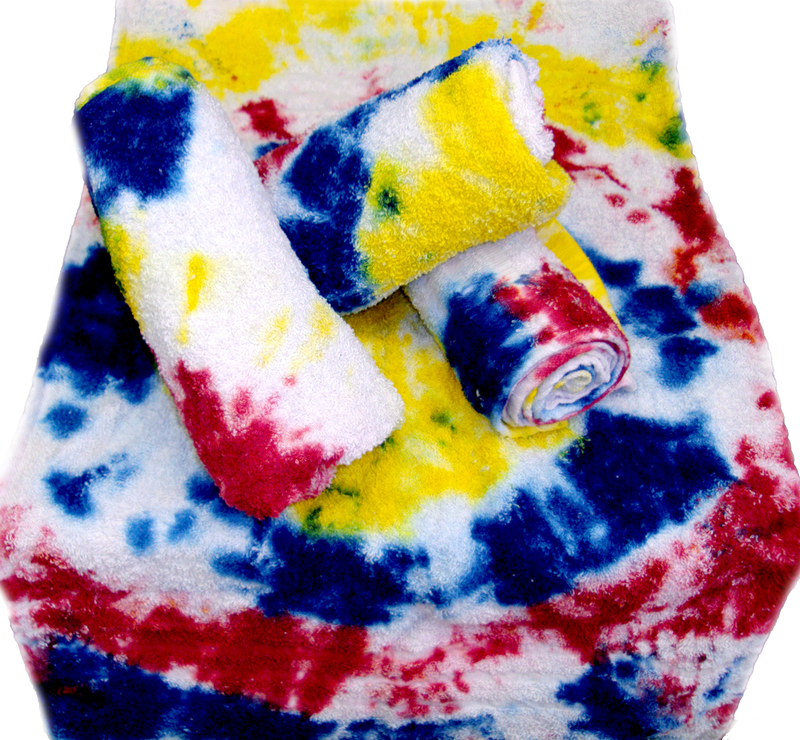 The clients also noted the towel change, and I received nothing but positive reactions to the idea of my tie dyed towels!